Breakfast - what to eat! 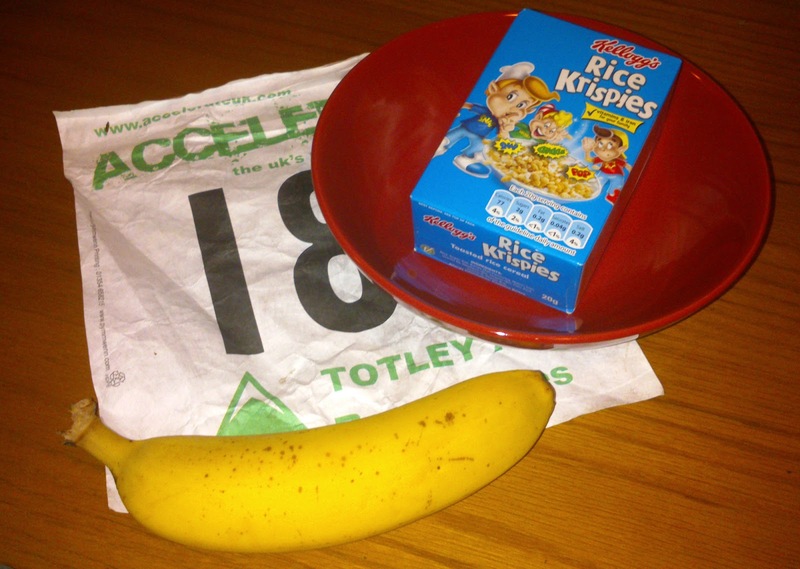 Following on from my last post exploring the importance of the pre-race breakfast, I was asked to provide some practical examples. First off, I'm basing this info on some very typical breakfast foods. Cereals, toast, bagels, etc. The examples are far from exhaustive and there are many other weird and wonderful foods you might eat. 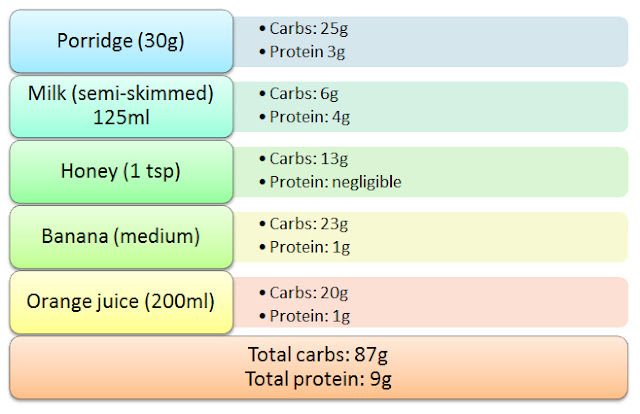 Just have a look at the food label to work out the carb content of your food of choice. I'll stick with the mundane though, as let's face it, it's more likely than not that you'll be reaching for the tried and tested favourites on race day. The idea is this - pick the base of your meal. Toast, a bowl of cereal, etc. Then add a topping of your choice - jam on your toast, honey in your porridge, and so on. Double up if you want to! Raisins and a banana together provide 44g of carbohydrates in a fairly modest amount of food. Finally, add some fluids. Milk on your cereal or as a drink, a glass of juice, or for a big hit of carbs, a milkshake. Mix and match as you choose! The amount of jam used in this example is fairly modest - at ~11g per tablespoon, spread it thickly to increase the carb count! The portion of porridge included in this example is 30g, which is typically the amount found in a single sachet of microwaveable oats. The portion is fairly small, so eating two would be quite manageable for most people. Doubling the amount of oats and milk provides a further 31g of carbs, taking the total to 118g. The amount of honey can also be increased to raise the total carb content of the meal. Bung in a tablespoon of raisins and you've got another 21g of carbs. I've double the 'standard' portion of breakfast cereal here, taking it to a 60g serving. Most people would dish themselves up 60g and think it average, so all in all I'd consider this a fairly small breakfast. Add a banana and some juice, and you've got 120g of carbs. So let's work through a couple of case studies. This is Barbara. She's a runner. She weighs 10 stones (63.5kg). Therefore Barbara should aim to eat between 127-254g of carbs at breakfast. On race day, Barbara eats 2 hours before her race. Two slices of toast (42g) spread with 1 tbsp honey per slice (26g) and a sliced banana (23g). With this she has a large glass (300ml) of pineapple juice (38g). This will provide 129g of carbs. And all in a fairly modest breakfast. This is Tom. He is a triathlete. He weighs 14 stones (89kg). A large bowl of porridge (50g) made with 250ml milk (12g). He adds two tablespoons of raisins (42g) and a large sliced banana (32g). He drizzles over a tablespoon of honey (13g) and has a large glass (300ml) of orange juice (30g). A couple of hours later, Tom eats a bagel (42g) spread with peanut butter (3g) and drinks a 380ml Lucozade (64g) on the way to the race. This provides 288g of carbs. What do you have for breakfast? Leave a comment and let's get some discussion going! Frequently referred to as the most important meal of the day. But where does it fit into a sports nutrition plan? You've spent hours training, braving wet weather, dark nights, early mornings, aching legs and – quite possibly – missing toe nails. After all of that effort it really would be a shame not to be in optimal condition come race day, yet lots of people neglect a vital component of pre-race preparation. Breakfast. There’s an awful lot of (often conflicting) advice around what the right thing to do is when it comes to eating and sporting performance, so it’s quite understandable that you might be a little confused about the best way to approach nutrition. So here I present for you all you need to know about pre-event fuelling. No. You don’t. However, bear this in mind – if you have the time and opportunity, why would you choose to avoid eating on the very day you plan on undertaking an activity with high energy demands? 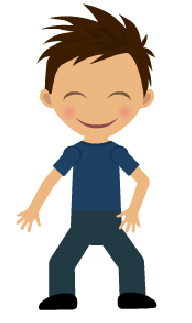 It is not essential to eat before taking part in sporting activity, whether it be running, triathlon, swimming, football or whatever sport it is you do. Assuming you eat a diet that includes carbohydrates, your body should have sufficient glycogen stores to fuel around 90 minutes of activity. For running, that should be enough time to complete distances up to and including a 10K run, and perhaps even half marathon for the speedier runners out there. Once your glycogen stores have been depleted – after ~90 minutes – there are ample stores of both fat and protein to tap into. However – and this is important – glycogen is the preferred fuel for working muscles and essential for the brain. The metabolism of both fat and protein can (and do) provide energy to keep you moving, but the mechanism by which they are utilised is less efficient than that of carbohydrate stores. Now this is a slightly extreme example, although there does seem to be an increase in the popularity of Ironman distance triathlon, so perhaps not as unlikely as you might think. Both ladies have significant stores of both muscle and fat, and yet they are literally dropping on their feet. Muscle cramps and a build up of lactic acid are likely to be contributory factors to their struggle to complete the race, but the primary factor it likely to be that fuel simply isn't being supplied rapidly enough to keep either the muscles or brain going, and as a consequence they are struggling to coordinate their movements, losing their balance, falling over and suffering. A lot. So whilst our bodies do have stores of fuel, they can't be relied upon to keep us going in the absence of carbs/glycogen. During the night time fast (also known as sleeping) your stores of liver glycogen are significantly depleted, and there is associated dehydration. The morning meal helps to restock the glycogen and to rehydrate the body, thereby providing energy to meet the demands of activity without further depleting stores. So do you have to eat before a race? No. But is it recommended that you do? Yes. Especially if you’re likely to be active for more than ninety minutes. As to what you should eat, it really depends on the demands of the race. But there are some basic rules to adhere to. As we've already said, carbohydrates are the body's preferred fuel source. The body has some glycogen stores (endogenous carbohydrates) that can be used, but once this is expended you are reliant on a combination of what you eat (exogenous carbohydrates) and other body stores of energy - protein (muscle) and fat. As carbohydrates are more efficiently used, they permit higher intensity activity and longer duration. Not all carbohydrates are created equal. They can broadly be divided into two categories - simple and complex. Simple carbohydrates are sugars (either added or intrinsic, that is, found naturally within the food), whilst complex carbohydrates are more commonly known as starches. The chemical composition of the simple vs. complex carbohydrates is such that simple carbohydrates are more rapidly metabolised than complex, and therefore are more readily taken up as fuel. 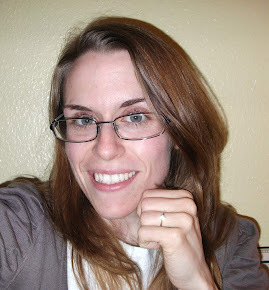 Complex carbohydrates take longer to break down, and therefore have a longer lasting effect. Eat a combination of these and you can reap the benefits of both to provide both a rapid and a sustained energy release. The protein is optional, but recommended, for three primary reasons. 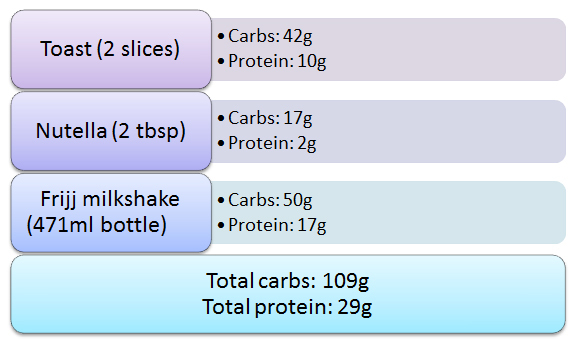 Firstly, protein is the most satiating of the macronutrients, that is, it helps you to feel full. Now, you don't want to be going into a race feeling like you're fit to bursting, but nor do you want to get part way through your race and feel ravenous. So eating some protein as part of your pre-race breakfast can stave of grumbly tums and hunger pangs. 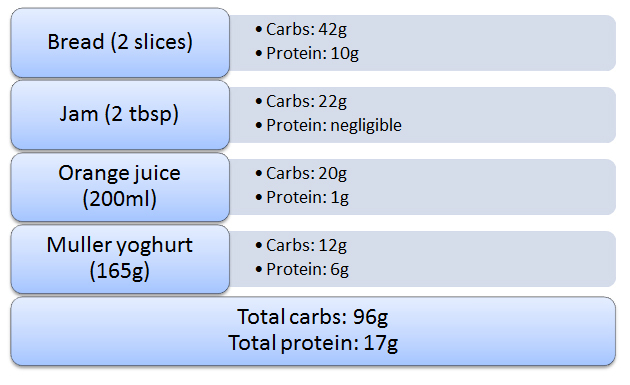 Secondly, protein helps to control the rate at which carbohydrates are absorbed. Proteins slow gastric transit (the rate at which things move through your gastrointestinal system) and therefore have the effect of lowering glycaemic load - the rate of uptake of the carbs into your system. Thirdly, protein contains energy. And an exogenous (originating from outside the system, in this case, the body) source of energy can help to spare/postpone energy being taken from body stores. So three good reasons for including protein. Whilst fat can provide you with a decent amount of exogenous energy, it is digested more slowly than either carbohydrates or protein, to the point at which is can cause problems when you are racing. You really don't want food lingering within your GI system whilst your racing - it's likely to cause cramping, nausea, bloating and diarrhoea. So small amounts of fat are permissible, but a particularly fatty meal is to be avoided. Leave the full English fry-up for another day. The ability of the gut to cope with fibre various widely from person to person. Fibre is renowned for contributing to GI problems during sporting activity. For more information, see my previous post on Runner's Tummy. A small degree of dehydration occurs over night. The American College of Sports Medicine (ACSM) recommend that 400-600ml of fluids be consumed around two hours before an event to optimise hydration status. The amount of food you need very much depends on the duration of your race and the intensity with which you plan on completing it. If you want to go further or go faster there are increased energy demands that you need to meet, so you need to eat more for a longer distance/faster race. The general recommendation for the pre-race meal is to eat 2-4g of carbohydrates per kilogram of body weight, aiming for the higher end of the spectrum for longer events. 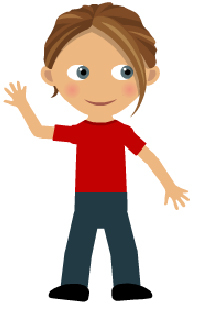 Remember though: the more food you eat, the longer you need to allow for digestion if you want to avoid GI distress - as already said, you really don't want a stomach full of food when the klaxon goes off! Ideally you'll eat 2-4 hours before the race begins. For most races (typically with morning starts) this would mean being up pretty early! Split the meal into two/three smaller snacks. 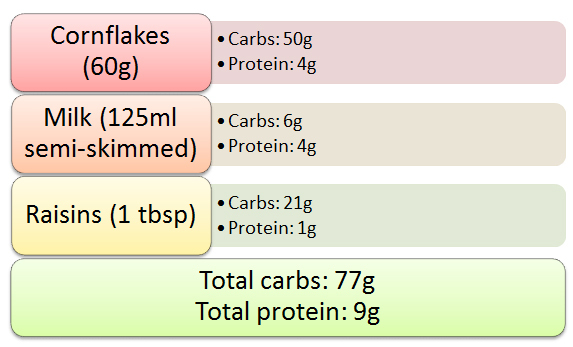 Have the complex carbs first, then an hour or two later have a snack based more on simple carbohydrates. If you can't face eating four hours before a race, when you do eat, aim for the lower end of the range for your body weight (2g/kg body weight) and increase the ratio of simple carbs which are more easily digested. As you'll now be eating less, remember to fuel during the event, if the distance/duration warrants it (90 minutes and above). If you really can't face breakfast early in the morning, liquid carbs are a good option. They require less digestion so can help if you get pre-race nerves/queasiness or are just not used to having breakfast. Something like a juice or a smoothie is a good option, as are some of proprietary sports drinks. 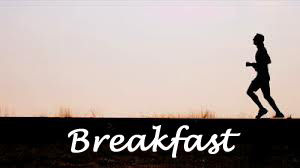 It's fairly simple - eat breakfast! Focus on carbohydrate rich foods. Avoid too much fat and fibre. Don't fret too much over getting the numbers spot on. Unless you're a top level athlete, it's unlikely to make a huge difference to your performance. Finally - and this one is important - NEVER try anything new on race day. Processed meat linked to early death! Processed meat is a killer! Scary sausages? Suicide salami? Death by bacon? I can imagine worse ways to go. But then, I'm very easily seduced by a bacon sandwich. I jest, of course. It's universally accepted that what we eat has an effect on our health, and the results of a study appearing in the news today have highlighted the risks associated with eating processed meat, which includes bacon, sausages, ham and other such meaty delights. The research has spawned headlines proclaiming the dangers of eating processed meat, with findings indicating that people who consume more than 20g of processed meat per day have an increased risk of premature death from all causes, with particular risk for cardiovascular disease and cancer. The study, involving 448,568 people from ten European countries, forms part of the European Prospective Investigation into Cancer and Nutrition (the EPIC study). The results published today look specifically at meat consumption and a preview draft can be found here. Eating 160g or more of processed meat each day increases your risk by 44% of dying, from any cause, when compared to people who eat 20g or less. The risk of cardiovascular disease and cancer are raised more than other causes of death. People who eat a lot of processed meats are also more likely to have other less healthy behaviours - smoking, high alcohol consumption, and low fruit and vegetable intake. Even when these other behaviours are taken into account, processed meat consumption was shown to increase risk of premature death. So how much meat are we talking about? 20g is a small portion - one small rasher of bacon, 1/5 of a McDonald's burger, two wafer thin slices of ham or a snack-sized Pepperami. 160g is a more robust portion - 2-3 sausages, half a can of Spam, four frankfurters, etc. If you're a dedicated carnivore, it's easy for the total consumption of processed meats to add up over the course of a day or week. 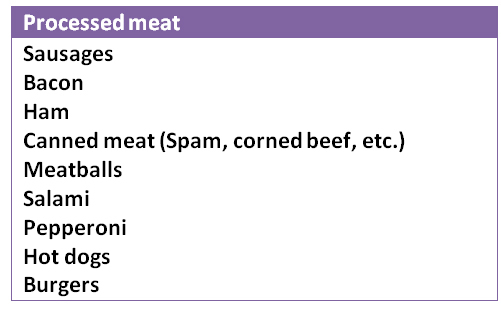 Bacon sandwiches for breakfast, ham rolls for lunch, sausage and mash for dinner - you can easily go over and above the 160g amount associated with significantly increased risk. The current recommendation from the Department of Health is that we eat no more than 70g of red or processed meat per day. It is worth differentiating between the two of these, as they are most definitely not same thing. At the risk of stating the obvious, it's meat that has been subjected to some form of processing. This includes salting, curing, smoking and other process that preserve the meat, typically involving the addition of chemical preservatives. Processed meat tends to be higher in fat than a cut of fresh meat, and also has additives such as nitrites, nitrates and salt, which in themselves can have a detrimental effect on health. Mincing meat is not, in itself, sufficient for it to be considered as processed. Some additional preserving process is required, for example, adding preservatives, salt, etc. The term red meat is used to describe meat that is (wait for it!) red when raw. Some people quibble over pork, but it is indeed classified as a red meat. Red meat is nutritious. It's an excellent source of protein, vitamins and minerals, particularly zinc and iron and vitamin B12. Opt for lean cuts and low-fat cooking methods and there's no reason not to include it in your diet. This study also looked at the consumption of white meat, which includes poultry and rabbit. No effect on mortality was identified. Red meat may be processed, but not all processed meat is red. It is worth noting that any meat can be processed: a chicken nugget, for example, is most definitely a processed (white) meat. The processed meat in this study however, was primarily processed red meat. 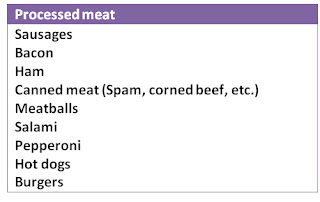 Small amounts of processed white meats were included, but most consisted of processed beef, pork and lamb (and to a lesser extent, goat and horse. Probably more horse than was first thought...). Red and processed meats have, for some years, been associated with an increased risk of cancer development, particularly bowel cancer. The findings associating processed meat with cardiovascular disease is new. How significant is this risk? Well the authors have stated that 3% of deaths within the participants of the study could have been prevented - that's 869 preventable deaths. If you extend that percentage to deaths in the UK (from all causes), then there's the potential for in the region of 15,000 deaths being prevented each year. Processed meats tend to offer no nutritional benefit over meats in their natural form. Choose lean cuts of fresh/frozen red or white meat (check for additives and veer toward white meat more than red) and eat it in moderation, and you should have nothing to worry about. 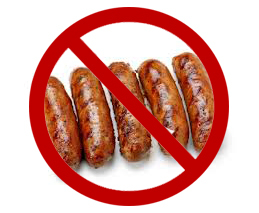 If you do want to eat processed meats, do so. But accept that there is some risk involved, as there is with many things in life. A bacon sandwich is certainly enjoyable, but is it really worth a slightly hastened death? Hence the (ever so slightly hyperbolic) title of this post - bacon or death? The choice is yours.